Chinese Bok Choy Soup and many Asian style soups are easy to prepare and require a minimum of ingredients. 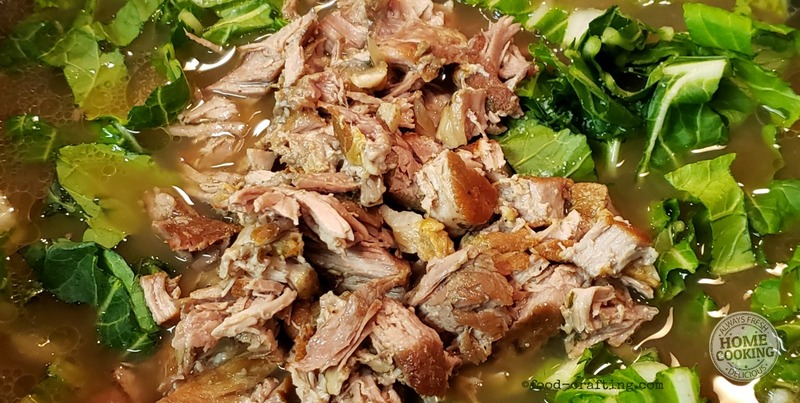 Although this soup sounds much like one of our favorite Chinese soups, the ingredients are somewhat different. Different mushrooms, different broth, different way to prepare the meat. Chili Oil – Homemade or off the market shelf. If you really want to crank up the heat, try Sichuan peppercorn oil! I always have these fresh ingredients on hand for all recipes but they are very commonly used in Chinese food. I only buy the large bok choy as needed. For soups, I slice the green part of the napa cabbage or bok choy, not the stringy white stems. Baby bok choy (easy to grow in a veggie garden) is not as stringy and, once steamed, can be eaten whole. I love them braised then sautéed in butter until golden. Quick Tips For All Your Mushroom Dishes! Whole bulk mushrooms are less expensive than the sliced and packaged variety. Especially when you get into fancy mushrooms. Buy mushrooms in bulk then slice them quickly with this little mushroom slicer! Get nice even slices. 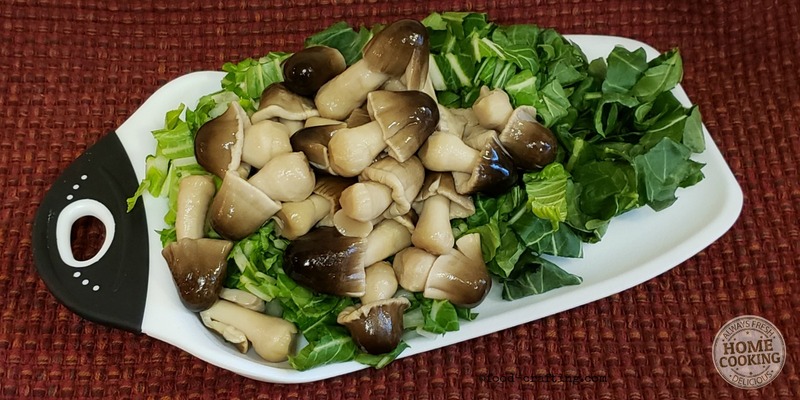 Straw mushrooms are available in dried form but for this recipe and others, just buy the canned variety. Drain well. 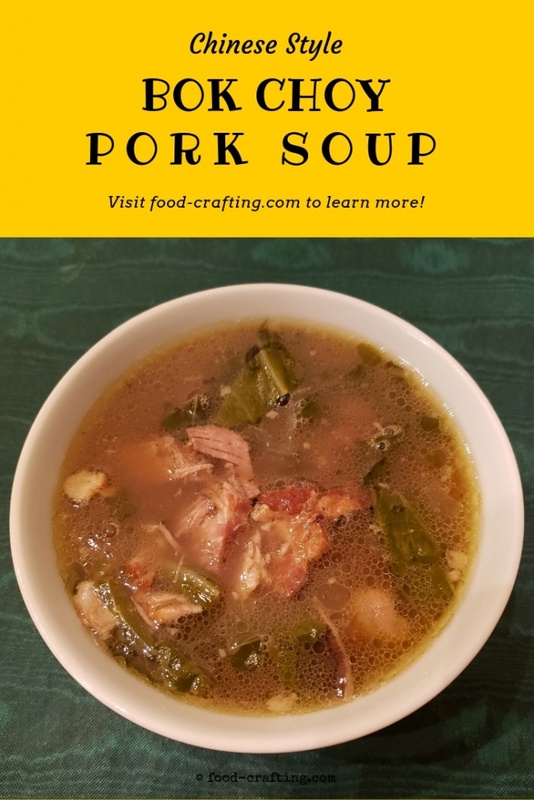 This quick and easy soup can be prepared with any broth. I found mushroom broth and figured it would only intensify the flavors. It did but you can all select the Mushroom & Chicken bone broth from Kettle & Fire® (want to think they had that one made just for my recipe!) for extra protein or an organic chicken broth or straight up organic Mushroom broth. Mushroom Broth adds flavor to soups with savory mushrooms, garlic and sea salt. Sample Pack, Keto Diet, Paleo Friendly, Whole 30 Approved, Gluten Free, with Collagen Organic Chicken Bone Broth; Gluten-free, Dairy-free, no MSG. No salt or sugar added. Why do I focus on organic? It’s gluten-free and vegan for Mom’s special diet. Many come in low-sodium choices. 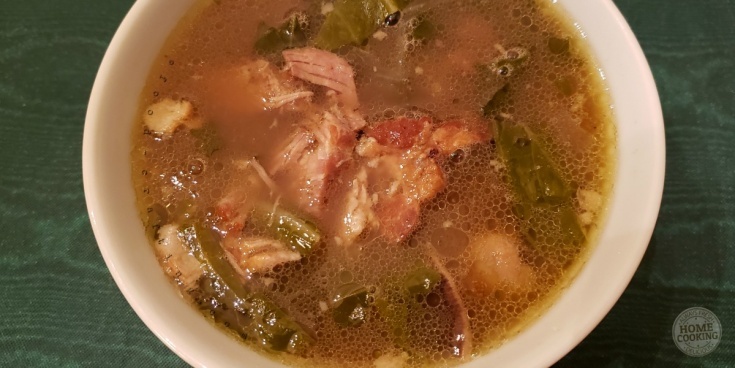 Bone broth in recipes adds much-needed protein. 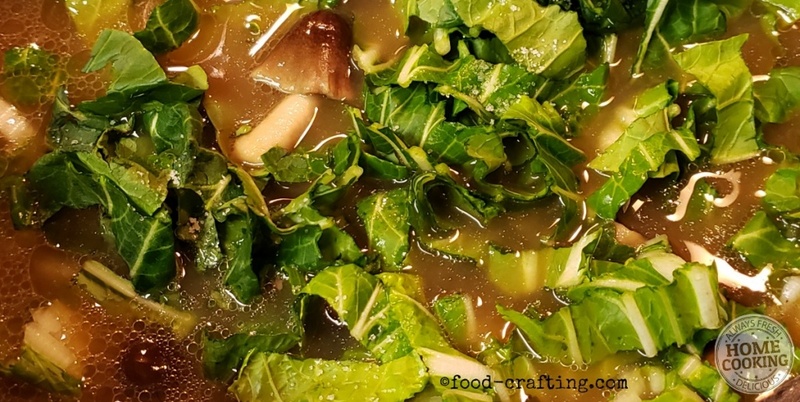 Quick and easy Asian flavors in a Chinese bok choy soup. Rich flavors and a minimum of ingredients and prep time yield a protein rich soup. Add a tablespoon or so of sesame oil to the pan. Dry the meat with a paper towel then carefully add to the pan. Allow to brown several minutes per side. You want a nice crust on the meat. Season the meat with freshly cracked pepper and some sea salt. 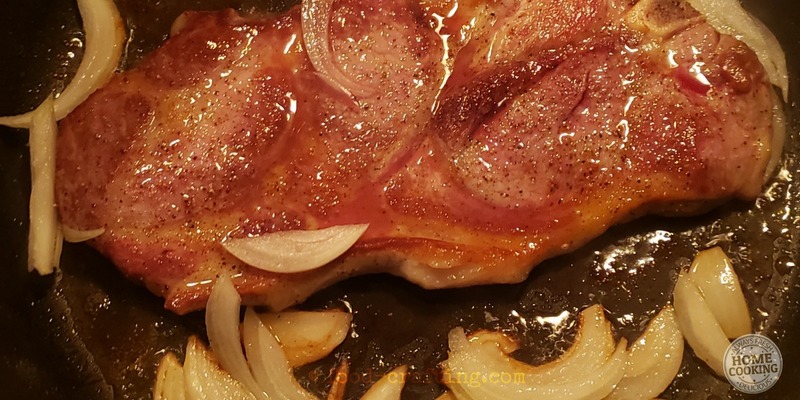 After turning meat to brown on second side, add the slivers of onion. Allow onions to take on color but not burn. Slowly, add mushroom broth, then stir in roasted garlic to taste (I used about 2 teaspoons) Adjust seasoning if need. Cover the pan and simmer for about 90 minutes. In the meantime, drain the mushrooms and slice the bok choy. Set aside. After 90 minutes, remove the meat from the pan. 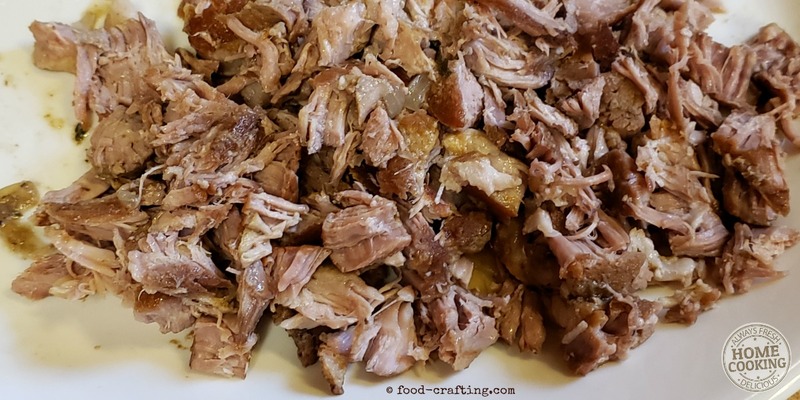 Remove any bone and fat then shred as if making pulled pork. To the broth, add the sliced bok choy, the mushrooms and the shredded meat. Continue to simmer until the boy choy is cooked through - about 20 minutes. Adjust seasonings one last time. Optional: You can add a handful of rice noodles to the bottom of individual bowls. Not everyone may want added rice noodles. Pour hot broth over the noodles. They soften up within 2 to 3 minutes. Top off with more hot soup. The Organic mushroom broth had 460 mg of sodium per carton. If you want to lower the sodium level, use low-sodium chicken broth. I've used broth with as little as 95 mg. of sodium per 32 oz. carton. Use extra pepper to season or a dash of hot sesame or spicy Szechuan oil. 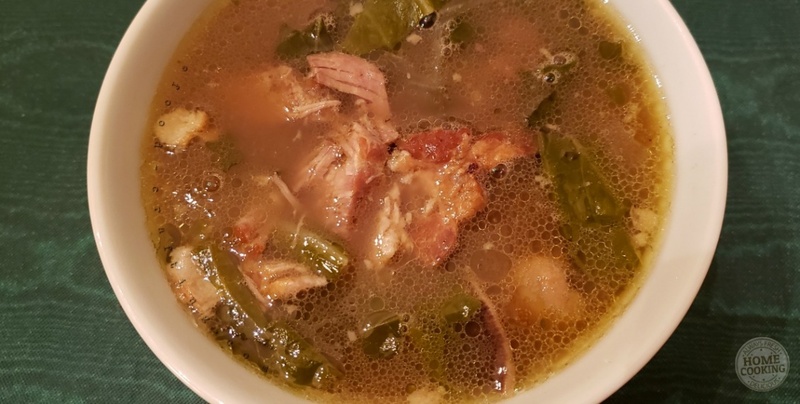 Another Easy Chinese Soup Recipe! Italian Pasta E Fagioli Soup: Best One Pot Dinner! 0.1.3 Quick Tips For All Your Mushroom Dishes! 1.3.4 Another Easy Chinese Soup Recipe!